Day trading can be lucrative especially if you can identify the right entry and exit points. It, however, takes a bit of experience for you to make sense of any investment opportunity out there and this is where the support of a mentor, tutor or community comes in handy. Unfortunately, only a select few trainers have what it takes to transform you from a timid beginner to a confident trader. And for that reason, you need to be picky. To help you easily identify the best trading school to enroll for, here’s a look at some 7 great options. 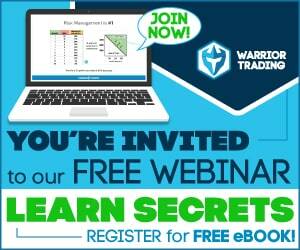 If you’re looking for a trading platform that equips you with high-quality alerts, you’ve got to give Warrior Trading a shot. Created by Ross Cameron, a renowned trader, WT stands out as an education site that doubles up as a chatroom. The site has really gone big on training. In fact, they have a paper trading simulator service which gives you the opportunity to sharpen your skills without risking real cash. What’s more? The site is home to more than 500,000 traders 5,000 of them being premium members. The exponential growth of this trading platform is perhaps tied to the quality of their training programs. It’s no wonder the company was nominated twice for the Best Trading Educator award under the Benzinga Fintech Awards (2016 and 2017). The predominant style of trading recommended here is that of tracking stocks on the basis of chart-based patterns. That said, swing trading plays a pivotal role as part of the strategies commonly used on WT. The guy behind IU, Nathan Michaud, is one of the great products of Timothy Sykes’ Profitly trading platform. Nathan built his career as one of the most powerful moderators who made Profitly what it is today. Then at some point, he went solo and set up Investors Underground, a platform that relies heavily on the power of its chatroom. Unlike other platforms whose chatrooms are pretty noisy, disorganized, and negative, this one is full of energy and hope. We think the many good moderators behind it are to thank for this. One thing we like about Nathan is that he’s very transparent. Unlike other trainers who mainly focus on sharing their winning trades and hiding the losing ones, Nathan verifies every single trade. That makes him one of the few honest guys in this industry so far. Yet another aspect of IU that makes it incredibly popular is that it has a highly reliable customer support team. Even though they have thousands of traders to deal with, they’ll always find ways to make you feel like you’re on in a million. The platform is quite friendly to beginners as well. In fact, they have tons of video lessons which you can easily watch and learn at your own pace. Tim is a renowned penny stock trader and trainer who rose to fame after he was featured on a TV show called Wall Street Warriors. He claims to have set up his empire using a Bar Mitzvah gift he received during his college days. You probably have come across his story already. He’s quite active on social media pages especially Instagram were he regularly shares pictures of his exotic vacations and luxury cars. But beyond the glamor, Tim is a prominent entrepreneur who currently commands authority in the day trading realm. He is behind sites like StocksToTrade, Investimonials, and Profit.ly. Generally, technical analysis is Tim’s most preferred trading style. He mainly uses stock charts to arrive at key trading decisions. He’s also pretty good at pinpointing garbage stocks such as ones that run due to paid promotions. 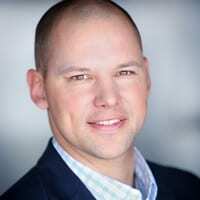 So, if you’re tired of losing money to pump and dump stocks but still want to consolidate the gains of pennystocking, you certainly would find Tim a great trainer to work with. Some of the courses currently available under this renowned trainer include Tim Raw, TimTactics, ShortStocking, Spikeability, PennyStocking, Quant Trading 101, and ShortStocking among others. Tim works alongside other mentors. “Superman” is one of them, he’s a veteran smallcap swing trader. Then there’s a team of moderators who keep the chatrooms vibrant all day long. Superman, or simply Paul Scolardi, is one of the awesome gurus you can find trading alongside Tim Sykes on Profitly. He has been a top-notch trader for the last 15 years and a quick look at his background reveals that he’s a trained accountant (CPA). His deep financial background makes him quite experienced in interpreting and advising on what may seem like complicated matters of trading. One thing we particularly love about his strategy is that he’s pretty good at momentum trading. He also is pretty good at providing real-time trade alerts. Looking for one-on-one support? Superman is keen on sharing weekly video lessons along with a rich library full of past videos. As a day trader, you’ll find Paul’s 3-prong strategy quite easy to use. First, he’s pretty good at using the classic news scalping strategy which is a great option for anyone looking to make consistent, small wins. Then there’s the chart pattern swing trade approach which the “Superman” uses to identify high-potential, losing stocks. Of course, this strategy entails holding on to such stocks until they become profitable. Then there’s the fundamental position trading. This one is a bit complicated because it entails an analysis of matters of economics, global politics, and social structures in regard to their influence on demand patterns. This is a long-term approach which is quite popular among the top traders who dominate Wall Street. Popular for being one of the well-made standalone stock scanners on the markets, TI is a go-to platform for anyone looking for a continuous flow of ideas. You simply need to access their software through any browser or download it for an even easier access. One thing we can confirm is that TI has been around since 2002 and it currently serves more than 50,000 traders. They have a vibrant chatroom which is pretty fun to be a part of. Generally, TI, unlike Profitly isn’t built around individuals. It’s a team thing. That said, one of the most outstanding names, when you think of Trade Ideas, is that of its co-founder Dan Mirkin. Dan is a hands-on guy who regularly puts his results out there for the world to see. And we think that’s a cool thing to do especially since transparency is a huge factor in trading mentorship. There’s also Barrie Einarson who’s mainly charged with the responsibility of moderating the live trading room. And he does a pretty good job at that, we must say. And with an annual subscription going for as much as $2268 per year, there’s every reason to appreciate the huge milestones the TI team has made. For instance, they have played a pioneering role in championing the use of artificial intelligence (AI) in trading. Their powerful, virtual trading analyst known as Holly, does an incredible job of tracking multiple stocks at once. DTA is a classic example of how powerful open source tools can become if well managed. Founded by Marcello Arrambide close to a decade ago, the platform has grown exponentially to cover 110 country and 5 continents. One aspect of them that makes them pretty unique is that they don’t sell indicators or bots to you. Instead, they seem to prefer hands-on training meaning if you get on board, you should be prepared to interact with and learn from other traders. While there’s nothing wrong with trading using software programs, there’s something about hands-on trading that makes traders more confident. And above all, this style of trading often means that you can keep your charts clean and easy-on-the-eye. The DTA training is made up of 4 different modules. There’s the “Beginner Phase” which comprises 19 chapters and which mainly provides you with an introduction to technical analysis. The second phase is known as the “Intermediate Phase” and mainly covers real exercises for accurate trading. Courses such as Data Feed and Ninja Trader are offered during this phase of learning. Then there’s the “Advanced Phase” which being the third phase of the program shows you exactly how to take a bare-knuckles approach to trading. Last but not least, is the Pro Phase. Armed with all the skills it takes to make real money, you’ll need this phase to develop the stamina it takes to survive in volatile markets. And most importantly, once you complete this phase of learning, you’ll be able to interact with the professionals as they trade. Microcap is one of the most comprehensive stock trading newsletters that provide trading education and stock alerts. The platform was started by Matt Morris who claims to have gained interest in trading stocks while still tinting other people’s car windows. That was some 10 years ago, today, his trading business has grown in leaps and bounds making him a millionaire stock trader. How does Microcap Millionaires work? Well, once you subscribe to this service, you’re enrolled for alerts on the leading penny stocks every week. 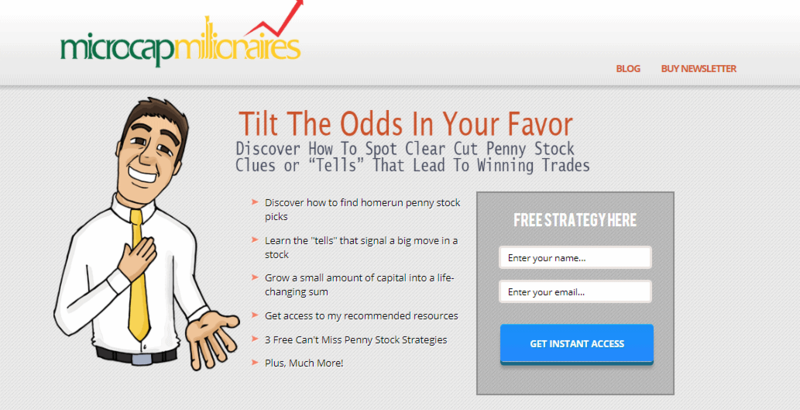 All the picks are selected by Matt himself through his vast experience in the world of penny stocks. Unlike other platforms, this one seems to place more emphasis on training beginners. They have some pretty good courses that tackle the basics of stock trading. The same trend is replicated with the intermediate and seasoned trading levels. Another fact about Microcap Millionaires, as its name suggests, is that it is best suited for people who run small trading accounts. And because Matt does all the work for you, it makes perfect sense to go for this platform especially if you want to trade and still keep your day job. Technical analysis is the main style of trading recommended here. Matt himself is pretty good at this and doesn’t shy away from sharing this – which, once again, goes a long way to show that he’s indeed quite transparent. Other than that, there’s a private members’ forum which gives you the chance to interact with like-minded traders. This is a great platform for anyone who would like to have some of the basic questions responded to, as fast as possible. The only caveat is that you need to be careful while selecting picks from other forum members as they may not always be accurate. Other than that, this is a fantastic platform to learn the ropes. So, that’s pretty much it – a list of some of the leading day trading courses on the markets currently. You simply need to find one that best suits your level and style of learning. Cheers to a new chapter in your trading journey.